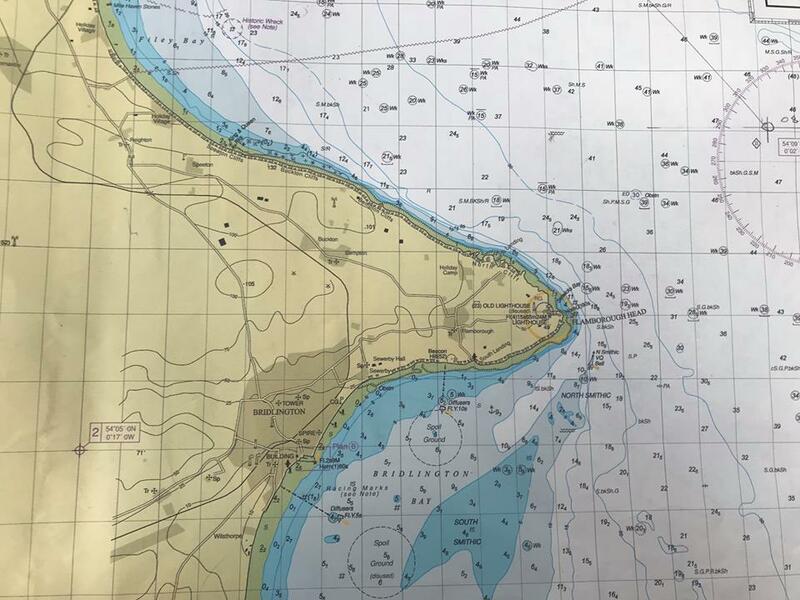 The project to erect the Vernon Minewarfare & Diving Monument has recently benefited from the fundraising activity of former CPO(D) David Bond and his daughter Suzanne who raised sponsorship money swimming the Dart 10k. 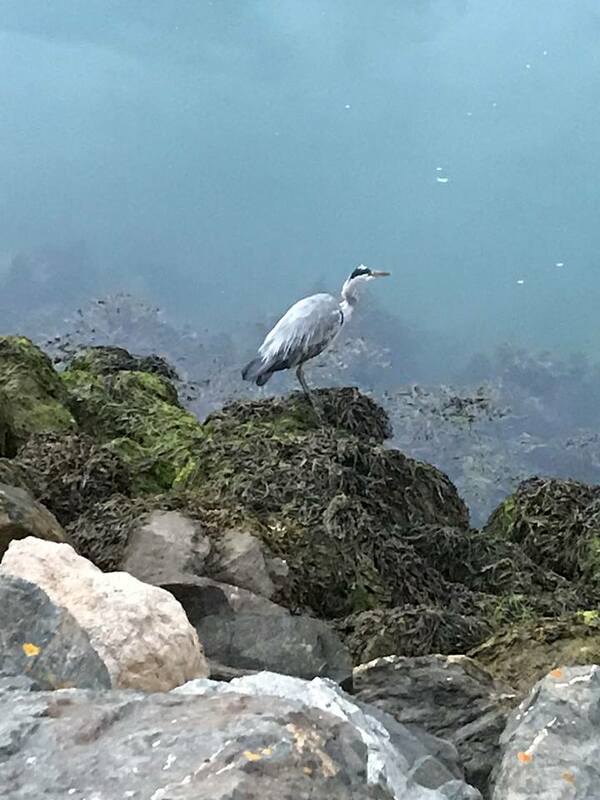 This is only the latest of several contributions by David who has previously swum around Portsea Island, the length of the River Dart and off Blackpool and Slapton Sands. 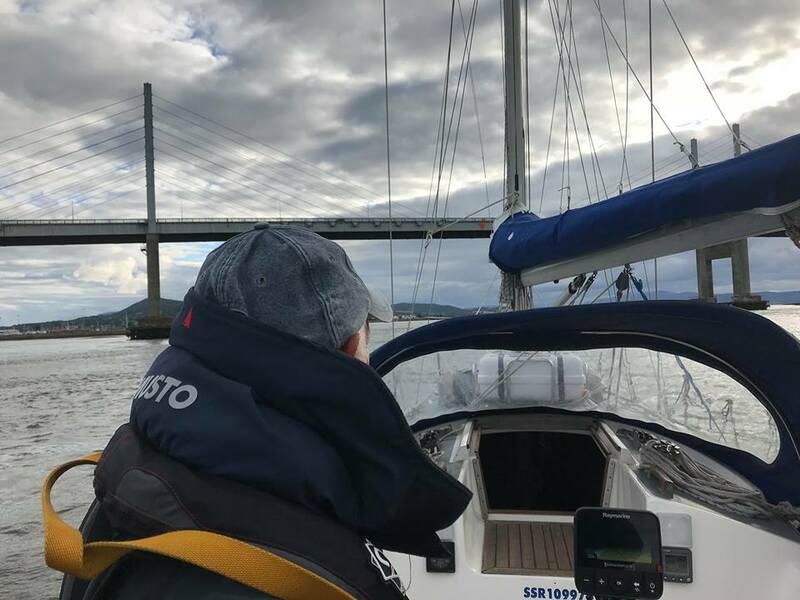 The project has also benefited from the sponsored circumnavigation of England and Southern Scotland via the Caledonia Canal by Geoff Goodwin in a Dawn Class 39 yacht called ‘Pickle’. Geoff completed this venture with his friend Ian, the yacht’s owner. Geoff and Ian set off from Weymouth on 2 July and their eventful voyage (their ensign, ensign staff and fittings were carried away in rough weather the first night) took them anti-clockwise via Brighton, Harwich, Lowestoft, Grimsby, Hartlepool, Whitehills, Inverness, Oban, Craighouse on Jura, Port Ellen on Islay, Bangor NI, Dundalk Bay NI, Port Oriel in Eire, Howth near Dublin, St Bride’s Bay, Falmouth and Dartmouth until arriving back at Weymouth exactly five weeks after their departure. 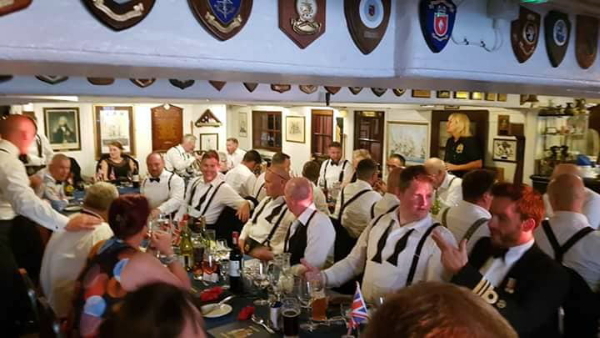 The Project has also received the proceeds of a raffle and auction at a formal dinner held on board HMS VICTORY to say farewell to CPO(MW) Antony ‘Pinta’ Beer, who was one of the volunteer bike riders several years ago, on leaving the Royal Navy. Thank you, Pinta, and the best of good fortune in your ‘retirement’. Since the launch of ’Home Waters - Royal Navy, Royal Canadian Navy and US Navy Mine Forces Battling U-Boats in World War I’ in April, sales of signed copies have enabled two donations, each of £500, to be made towards the Project with more expected. If you would like your own copy of ‘Home Waters’, signed by Rear Admiral Paddy McAlpine CBE (the Royal Navy’s highest ever ranking Minewarfare & Clearance Diving Officer who penned one of the the forewords) and co-author Rob Hoole, visit the website’s Shop. The cost is £30 (including P&P) of which £10 will be donated towards the Vernon Monument. ‘Home Waters’ is the first volume of a trilogy. The second volume is titled 'Night Raiders' and will cover RN, RAN, RNLN and USN minewarfare against Japan in the Second World War. It is due to be published late this year or early next year. The third volume in the trilogy is titled 'Enemy Waters' and will cover RN, USN, RAN, RCN, RNoN and French Navy minewarfare against Germany and Italy during the Second World War. It describes HMS VERNON's central role in the design of mines and mine countermeasures and in the development and execution of minelaying, minesweeping and bomb & mine disposal. The postscript contains a description of the role of the 'P' Parties as the forebears of today's clearance diver branch. From their inception in late 1943, the ‘P’ Parties were formed by the Admiralty’s Director of Minesweeping, under the auspices of HMS VERNON in Portsmouth. On 1 October 1944, all Royal Navy diving, including the ‘P’ Parties, was transferred to the Admiralty's Director of Torpedoes and Mining (DTM), also under the auspices of HMS VERNON. 'Enemy Waters' is due to be published late next year. Co-author Rob Hoole’s proceeds from all three volumes will be donated towards the Vernon Monument.